Home » Pope » Pope Benedict » religion » Roman Catholic » New Pope, New Hope! It is sad to hear that a Pope is resigning. 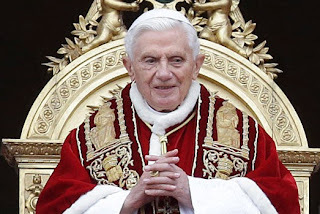 Pope Benedict is stepping down on the 28th of February. After he regretfully announced that he no longer has the mental and the physical strength to run the Roman Catholic church. He would be the first pontiff in 700 hundred years to resign. Roman Catholic church has been plague with controversies and defections for over the years. 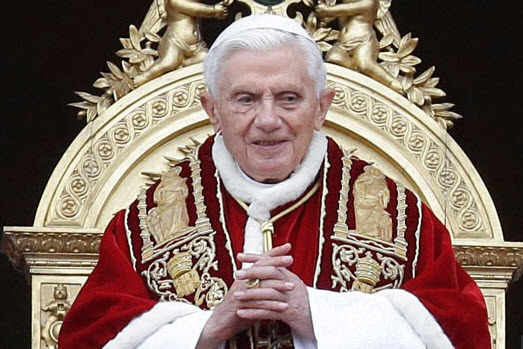 And for nearly 8 years as the Holy See, Pope Benedict reign has been a rough one. Known for his conservative doctrine, the Pope openly expressed his views on being against the female priesthood. His opposition to gay marriage and the embryonic stem cell research. He was also criticized by Muslims after comparing Islam to violence. For me, this resignation is very alarming to the Roman Catholic church. I mean, look at the world around us, the things we see, hear in our everyday lives on rumors surrounding the Roman Catholic church. I don't know but it seems Catholicism is somehow in a state of disturbances or shaking maybe? God help us but I wish, recent event won't further divide the church from its current hiatus. I also hope the next Pope will be someone who is strong enough to lead us to a moral world and has the power to unite people.